The annual Dumbarton Football Club Photoshoot was held at the C & G Systems Stadium on Saturday before the Kilmarnock match. 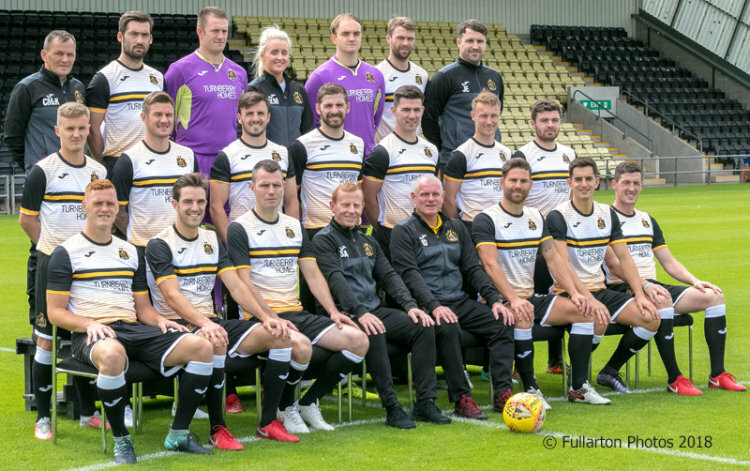 The annual Dumbarton Football Club Photoshoot was held at the C & G Systems Stadium in bright weather on Saturday morning before the Kilmarnock match. The line-up in the team photo is . . .
Front row (from left): Ryan Thomson, Andy Little, Andy Dowie, manager Stevie Aitken, assistant manager Ian Durrant, Craig Barr, Stuart Carswell, Ross Perry. Middle row: Bobby Barr, Willie Dyer, Calum Gallagher, Kyle Hutton, Ross Forbes, Iain Russell, Cammy Ballantine. Back row: Kit Man Colm McKinley, Michael Paton, Grant Adam, physiotherapist Kirsten Murray, Jamie McGowan, Rory Loy, goalkeeping coach Jamie Ewings.